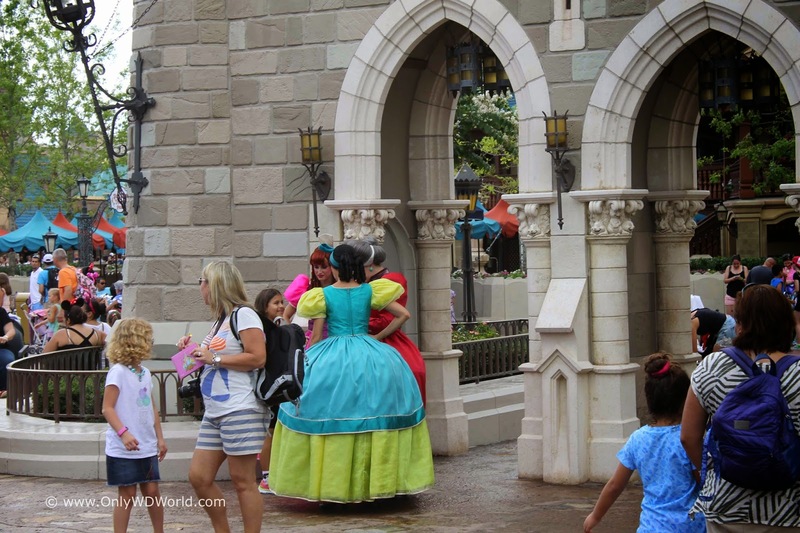 Home � Character Greetings , Disney Character Greetings , Disney Princess , Disney World Characters , Disney World Vacations , Magic Kingdom , Magic Kingdom Activities � 18 Disney World Character Greetings That Don't Cost Extra at the Magic Kingdom! 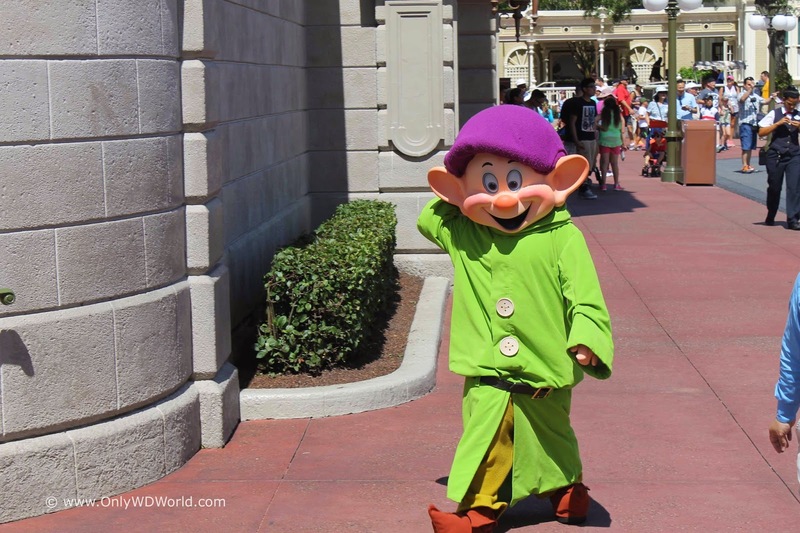 18 Disney World Character Greetings That Don't Cost Extra at the Magic Kingdom! 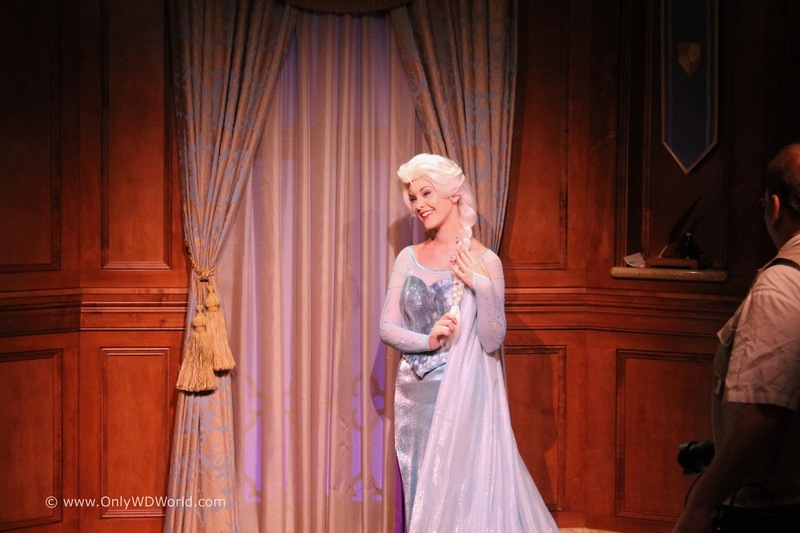 One the the best parts of visiting the Magic Kingdom is all of the Disney Character interactions that can occur without having to spend extra for special events or Disney Character Dining. Without spending extra there are 18 different Disney Character meet and greet opportunities that you can take part in at the Magic Kingdom. 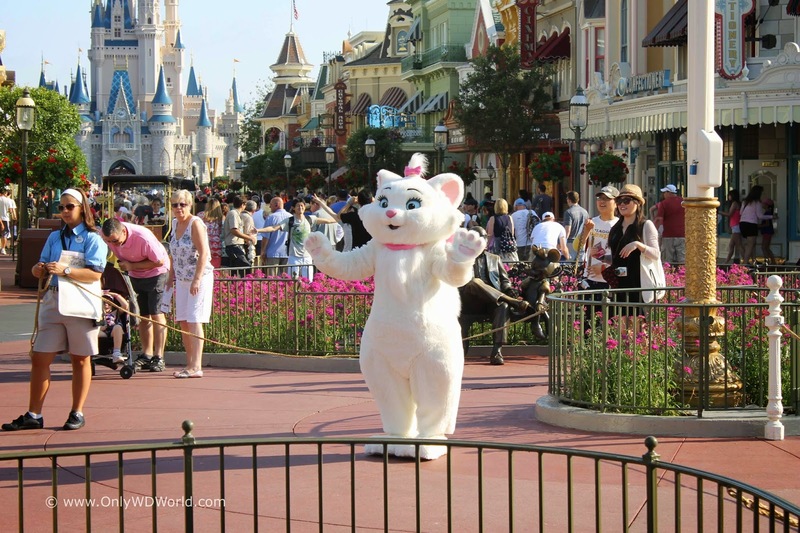 Here we see Marie waiting to meet with Disney World Guests. 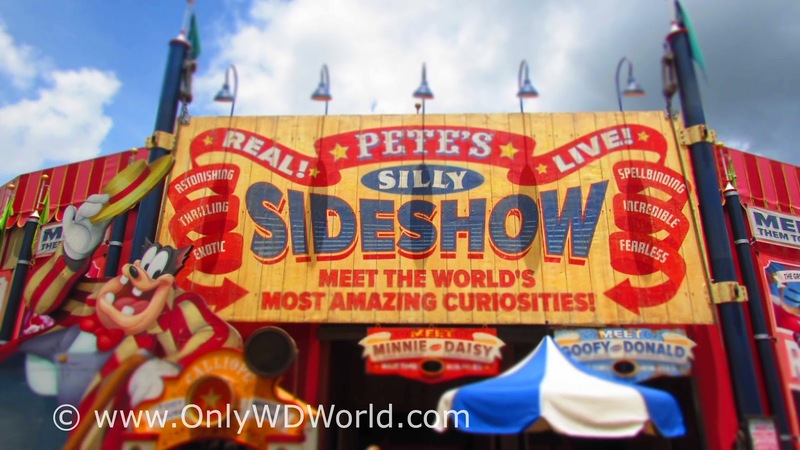 At Pete's Silly Sideshow, located in the back of the Magic Kingdom in the area currently known as Storybook Circus there are 4 different Classic Disney Characters that you can meet in two separate lines. In one line you can see Minnie Mouse and Daisy Duck, while the other line allows you to meet Goofy and Donald Duck. This location is not well known to most Disney World guests and is a great way to get to meet these characters without a long wait! Adventureland is the home to many great attractions and the opportunity to meet some of your favorite characters from the hit Disney movie "Aladdin." The characters will vary depending upon the day, but you may get to meet Genie, Princess Jasmine, and/or Aladdin. Are you a Toy Story fan? Well, who isn't? If you would like the chance to meet some of these characters, then you should make your way to the attraction queue for Splash Mountain, where they have a special spot for meeting Magic Kingdom guests. 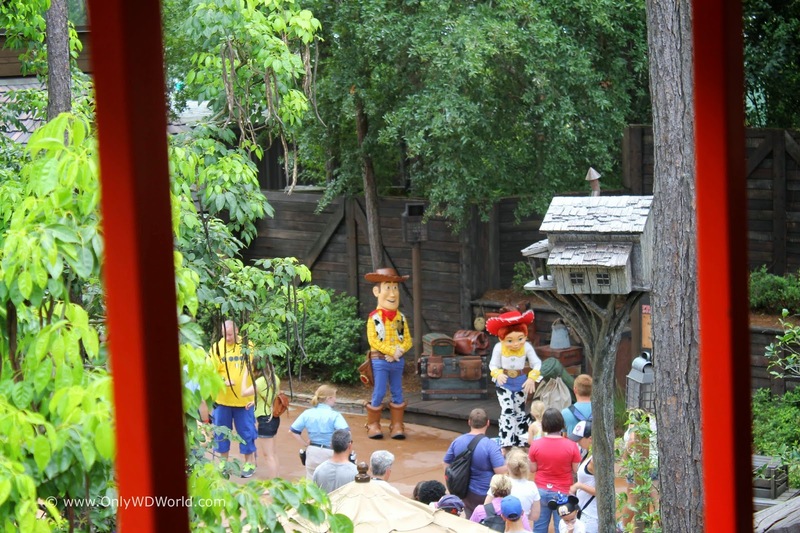 Woody & Jessie are among the characters you may meet. Characters From "The Princess and the Frog"
Liberty Square is home to a special little garden where you may meet Princess Tiana and Prince Naveen from "The Princess and the Frog." 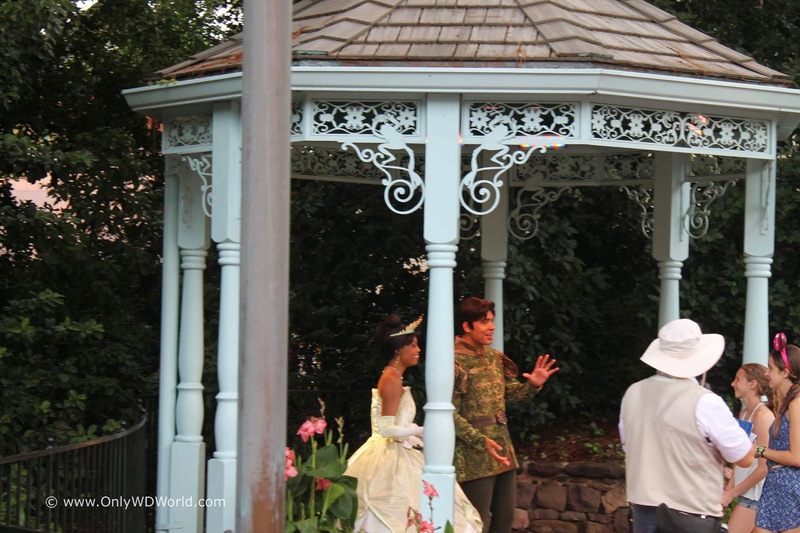 Tiana's Garden Glen is a great place to meet a Disney Princess with usually short lines and a shady waiting area. If you love Merida, you can meet her at a special meeting place between Cinderella Castle and Cosmic Ray's. 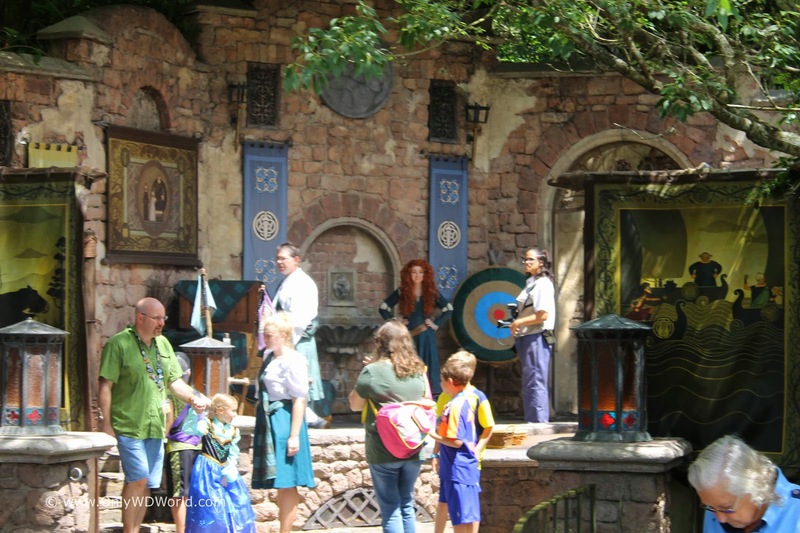 This well, designed area allows for a great picture setting and you may even get an archery lesson from Merida herself! What visit to the Magic Kingdom is complete without visiting the mouse that started it all, Mickey Mouse! 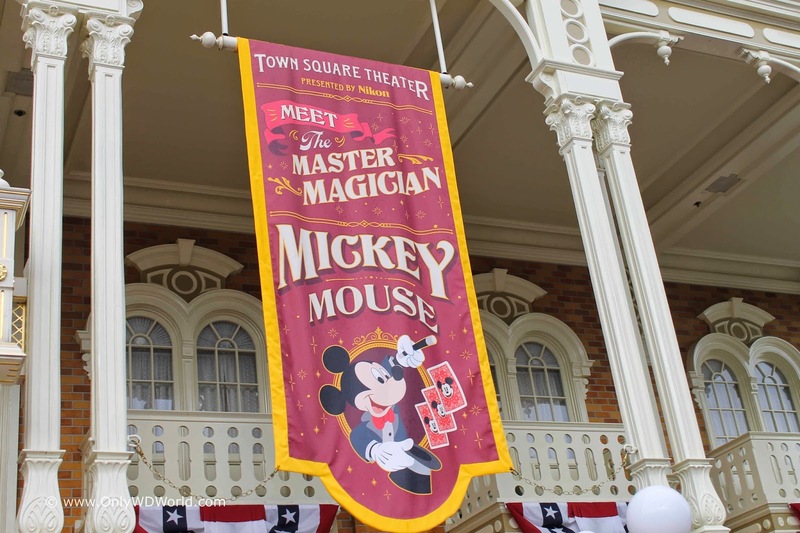 In the Town Square Theater which can be found to your right as you enter the Magic Kingdom, Mickey Mouse meets guests all day. If you are tight on time, you can get a FastPass+ to reserve a time to meet Mickey Mouse and cut down on your wait. 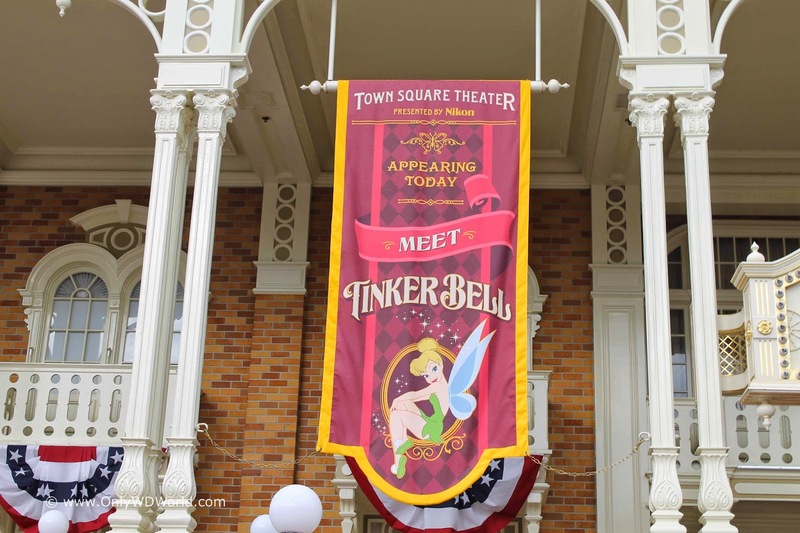 Everyone's favorite feisty fairy can also be found at the Town Square Theater. Like Mickey Mouse, you can also get a FastPass+ to reserve a time to meet Tinker Bell if you do not want to wait in the standby line. 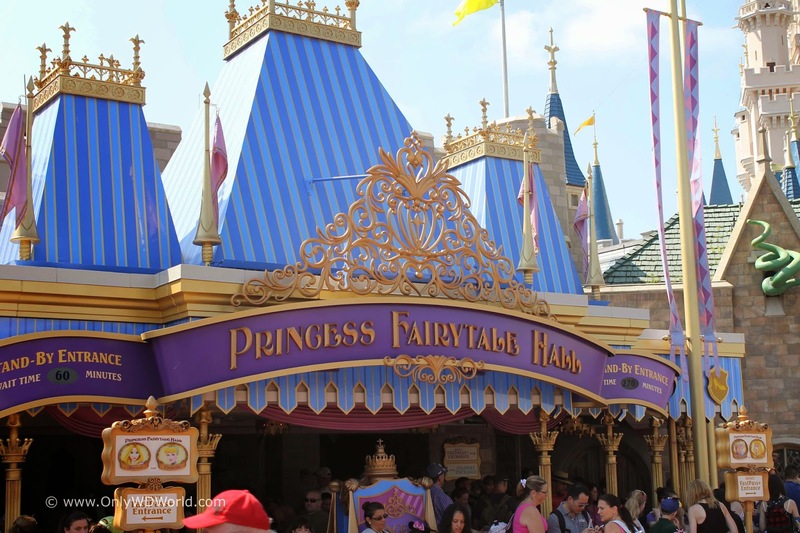 The place to meet Disney Royalty is currently at Princess Fairytale Hall which is located in Fantasyland behind Cinderella Castle. There are currently two different queues where you can either wait to meet Princess Anna & Queen Elsa from Frozen or Cinderella & Rapunzel. 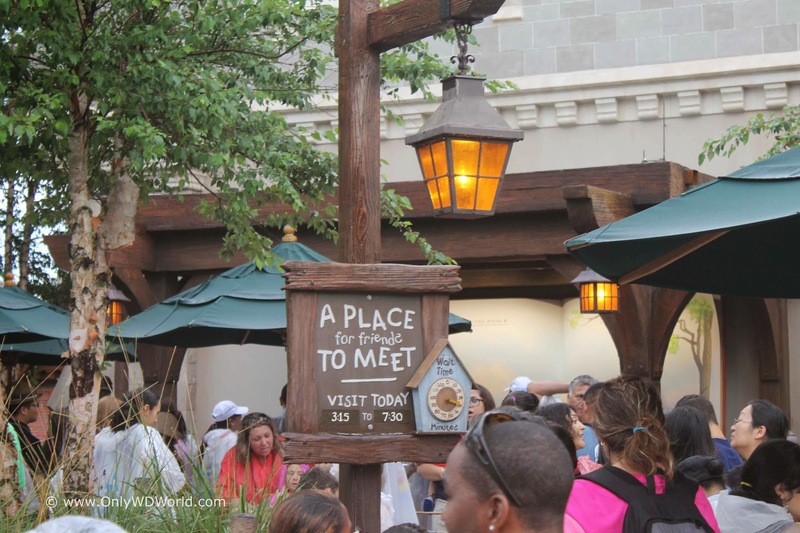 Both lines have FastPass+ as an option, so if meeting your favorite is a must you may want to use this option. 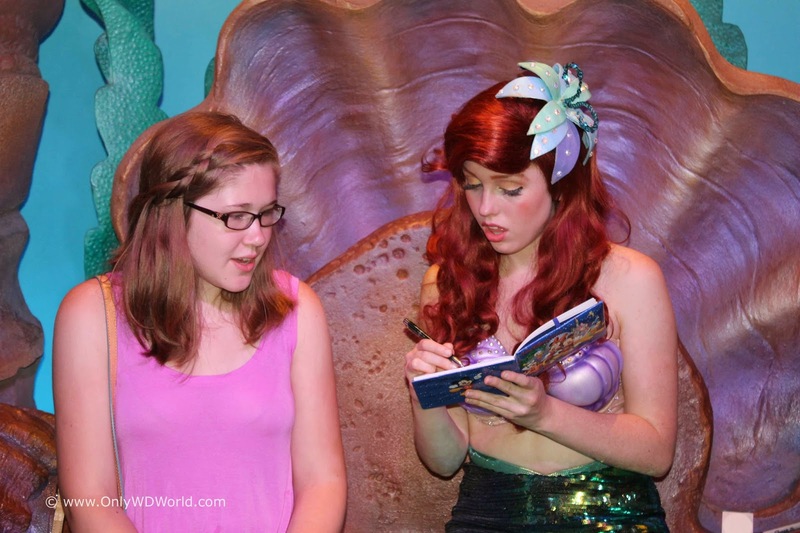 Ariel has her own special spot in Fantasyland where you can meet her "Under The Sea." 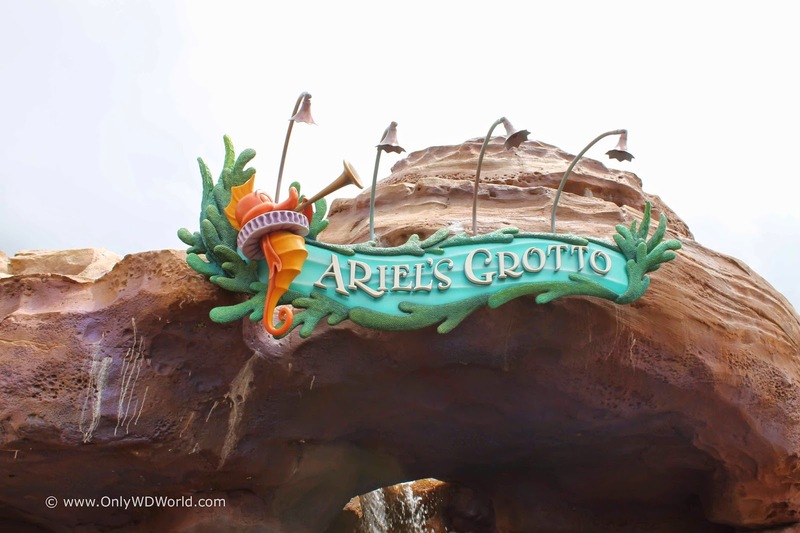 Ariel's Grotto provides a great photographic background for your special pictures with your favorite mermaid. You can also get FastPass+ for Ariel. 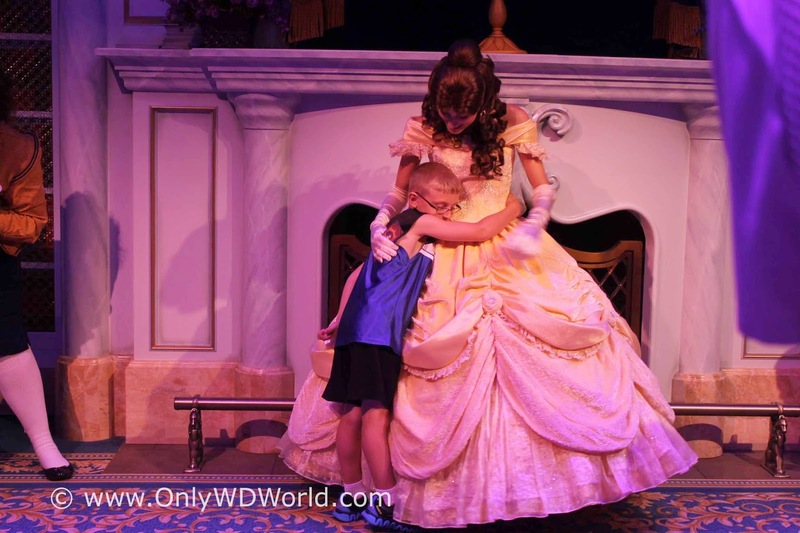 Although it is billed as an attraction, Enchanted Tales With Belle is also a meet and greet opportunity for all children (and adults) who volunteer to take part in the performance. 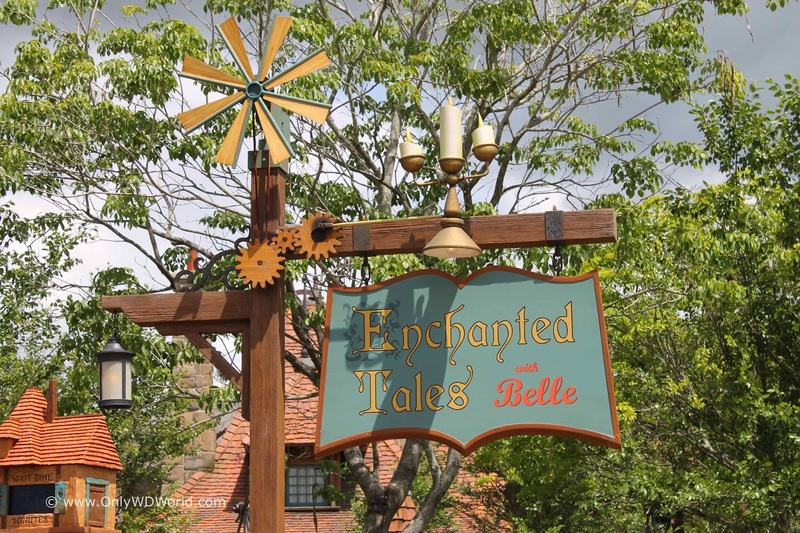 This is a great opportunity to get your picture taken with Belle! 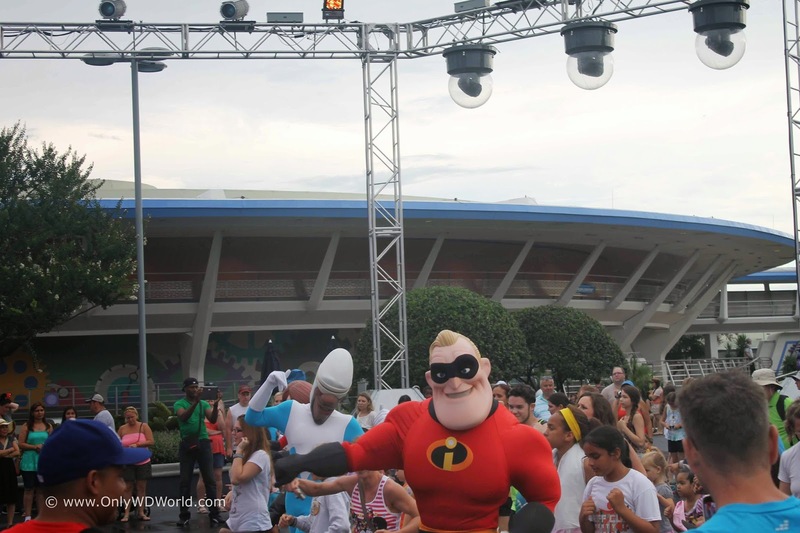 Take advantage to meet the cast of The Incredibles and dance along to the hits with them. Mr. Incredible, Mrs. 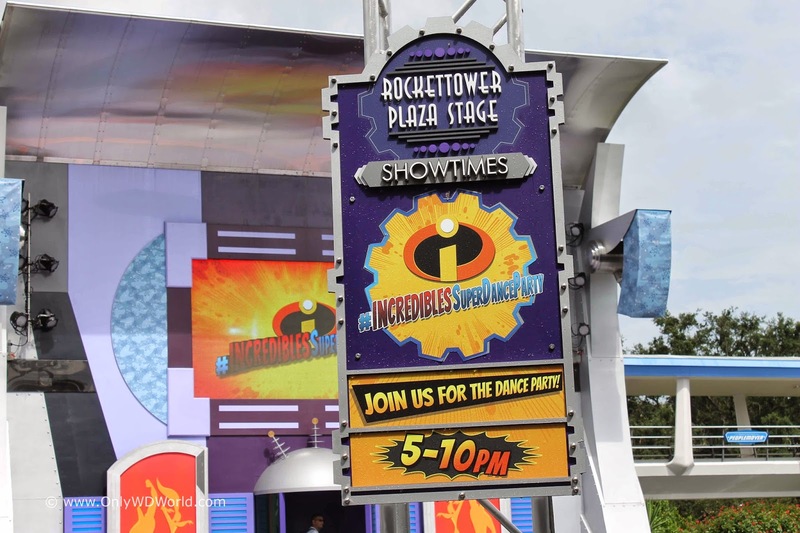 Incredible, and Frozone were all dancing to the music played by the DJ at RocketTower Plaza. 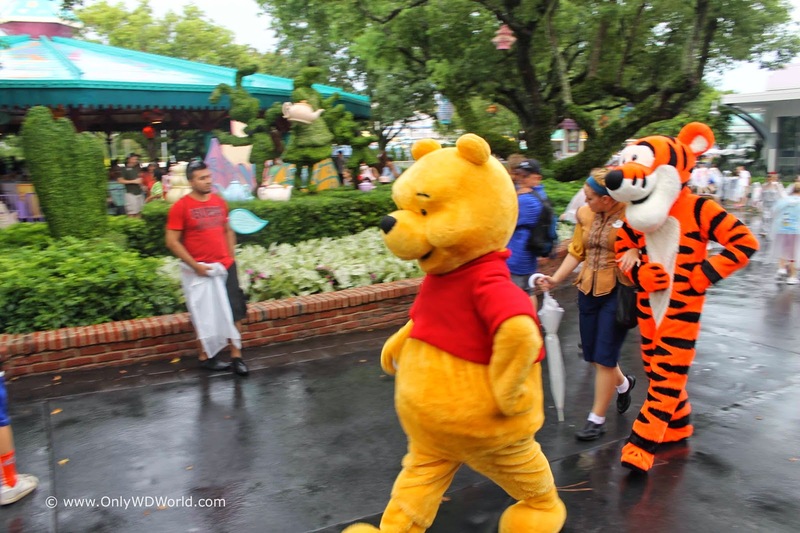 Right next to the Many Adventures Of Winnie The Pooh attraction is A Place For Friends To Meet, where you can meet one or more of Winnie The Pooh, Tigger, Piglet, and Eyeore. Today we caught Winnie The Pooh and Tigger walking to the meeting place. Right next to the entrance to Adventureland near the Crystal Palace and the Aloha Isle (home to the Dle Whip) is a small patio where you may get to meet Peter Pan. He can often be found here meeting guests. 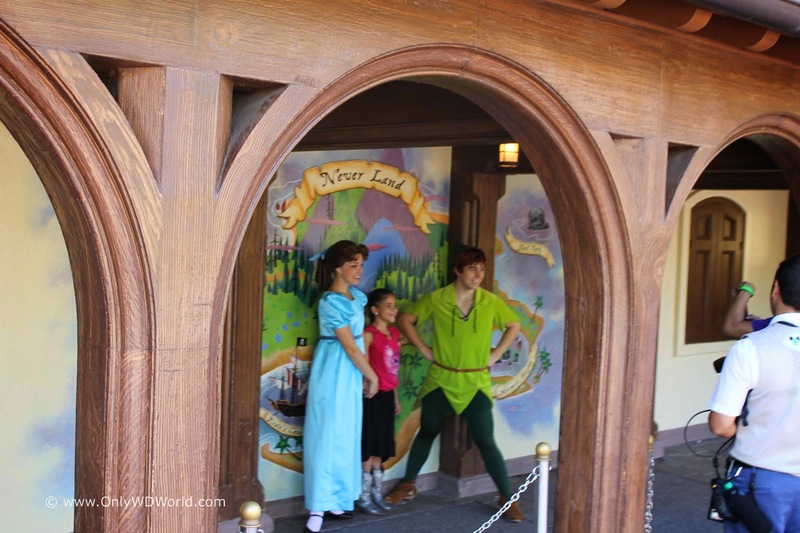 Sometimes Peter and Wendy could be found meeting guests near Peter Pan's Flight in Fantasyland. 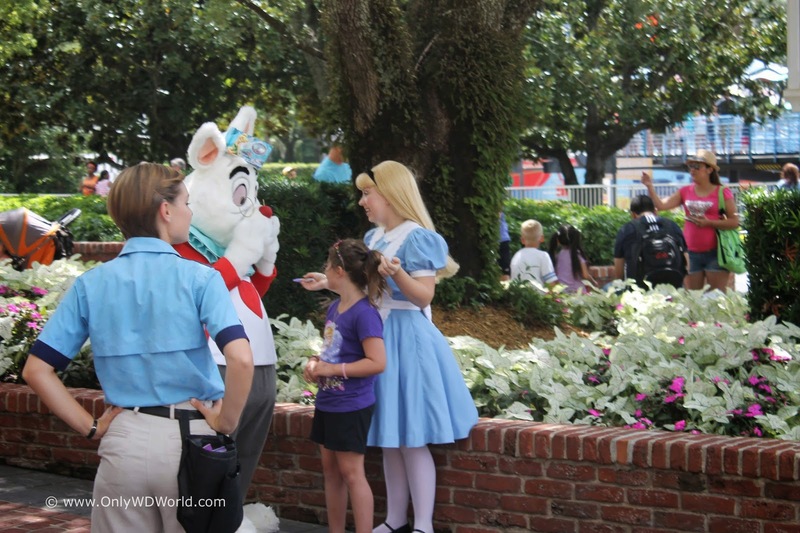 Often you can meet Alice In Wonderland next to the Mad Tea Party attraction. Sometimes Alice is joined by the Mad Hatter or the White Rabbit. Life isn't always about Princesses. Often you can meet Cinderella's less famous step sisters Anastasia and Drizella behind Cinderella Castle with their mother Lady Tremaine. If you have a chance to interact with the Step Sisters you will find that they are often quite hilarious. 2 comments to "18 Disney World Character Greetings That Don't Cost Extra at the Magic Kingdom!" Thanks for the tip about Goofy at Pete's Silly Side Show. My daughter really wants to meet him. Thanks for the tip about Goofy at Pete's Silly Side Show. She really wants to meet him.